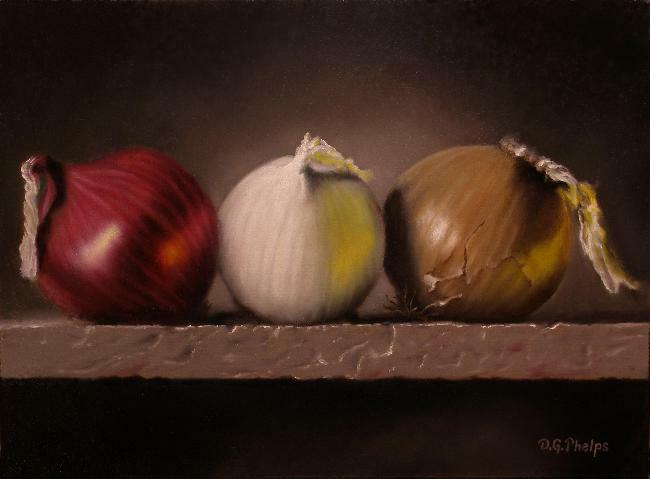 Onions still life, who would have thought! Always something in the kitchen will make for a great still life. What attracted me to these are the warm tones. 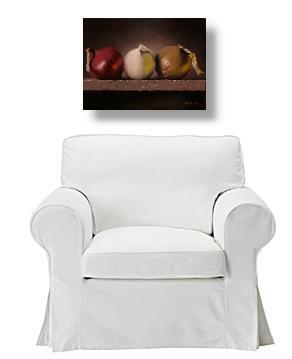 The royal purples and browns centered around the white make for a very soothing composition. 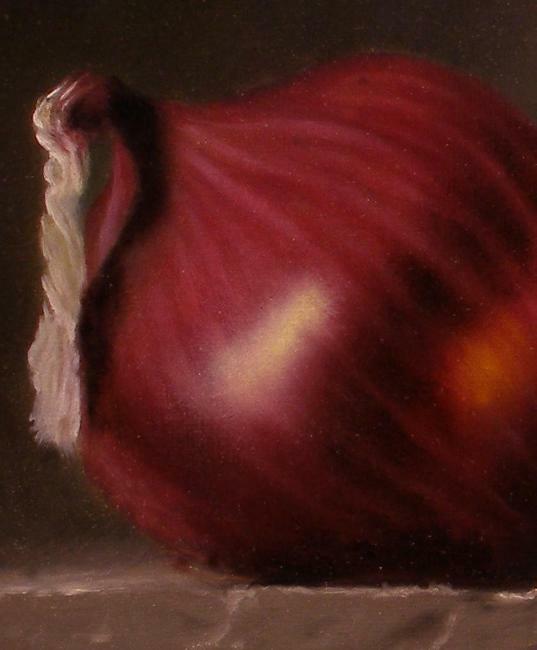 Who would have thought onions would be so beautiful. Click on the thumbnail to get the full view, and enjoy! 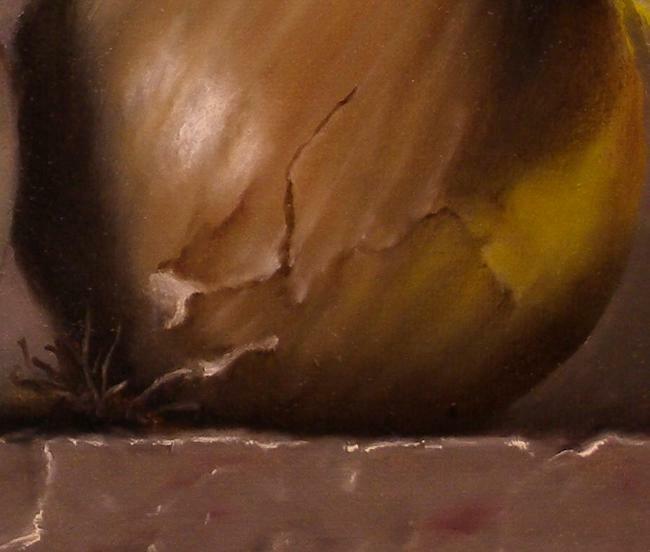 And if you really want to understand the process, check out the demonstration from my easel of this painting. 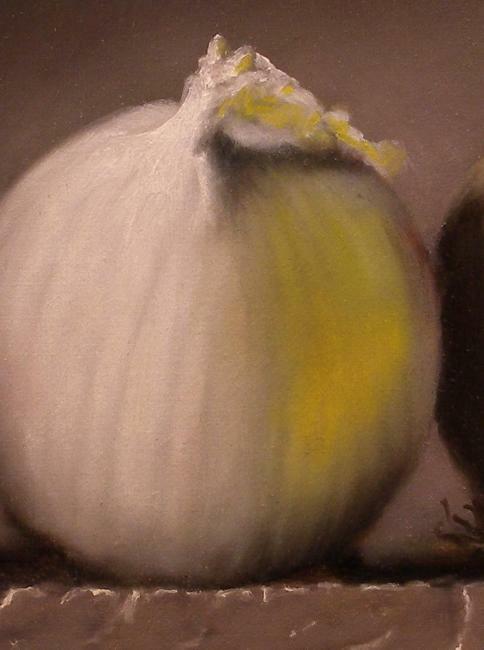 Click here to head away from my still life onions page back to the gallery.